Our Lady of Lourdes Hospital, where the injured man is being treated. GARDAÍ HAVE ARRESTED a man in his 30s in connection with a serious assault which took place at a in a pub in Dundalk last Friday night. The incident occurred at the bar on Castletown Road between 9pm and 10.30pm. A man in his 60s sustained serious head injuries in the assault. 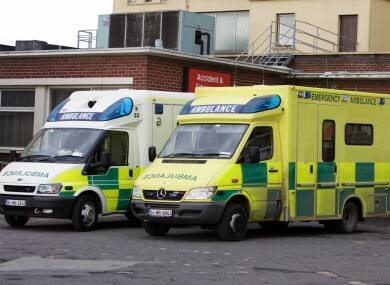 He was taken to Our Lady of Lourdes Hospital in Drogheda where he remains in critical condition. This afternoon the man in his 30s was arrested in the Dundalk area and is being held at Dundalk Garda Station. Investigating gardaí are appealing to anyone who was in the Castletown Road area between 8.30pm and midnight on Friday, 28 February, or who may have information to contact Dundalk Garda Station on (042) 9335577. Email “Arrest in Dundalk over serious assault on elderly man in pub”. Feedback on “Arrest in Dundalk over serious assault on elderly man in pub”.